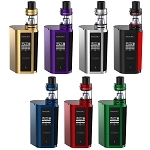 The Smok ProColor 225W TC Starter Kit is one of the newest vaporizers from Smok Tech for liquids that comes equipped with an advanced 220W temperature control box mod with extensive customization options for a personalized vape experience. Just as many other Smok Vaporizers, the Procolor 225W Starter Kit is made available in a wide variety of color options that provides the aesthetics many other brands simply cannot compare to. This device also features a full-color massive 1.3" OLED display and it is paired with the TFV8 Big Baby Sub Ohm Tank with upgraded 5mL tank capacity for all day vaping. 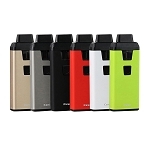 The Smok ProColor 225W TC Mod requires two high amp 18650 batteries that do not come included. If you need to purchase these items please select the Add 2 x 18650 Batteries option above, if you have any questions about these items contact our customer service line during normal business for assistance. 7 points worth $7 will be earned when you buy this item.